Our company reaffirms through the high-tech enterprises organized by the State Ministry of science and technology. 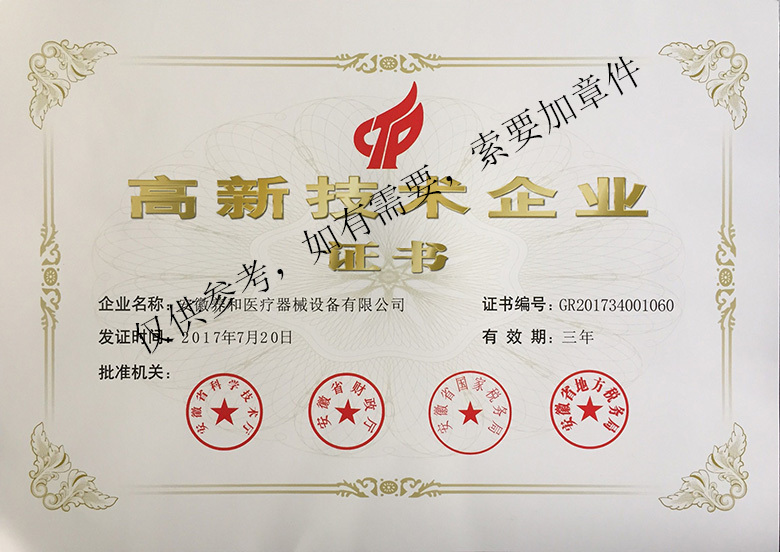 Anhui Young-Hearty medical equipment Equipment Co., Ltd., is reconfirmed by the high-tech enterprises organized by the State Ministry of science and technology. 下一篇：Good news: The new product –scintillation sampling bottle was developed successfully! 上一篇：Young-hearty was awarded the 25th batch of Provincial Certified Enterprise Technology Center in Anhui in 2016.